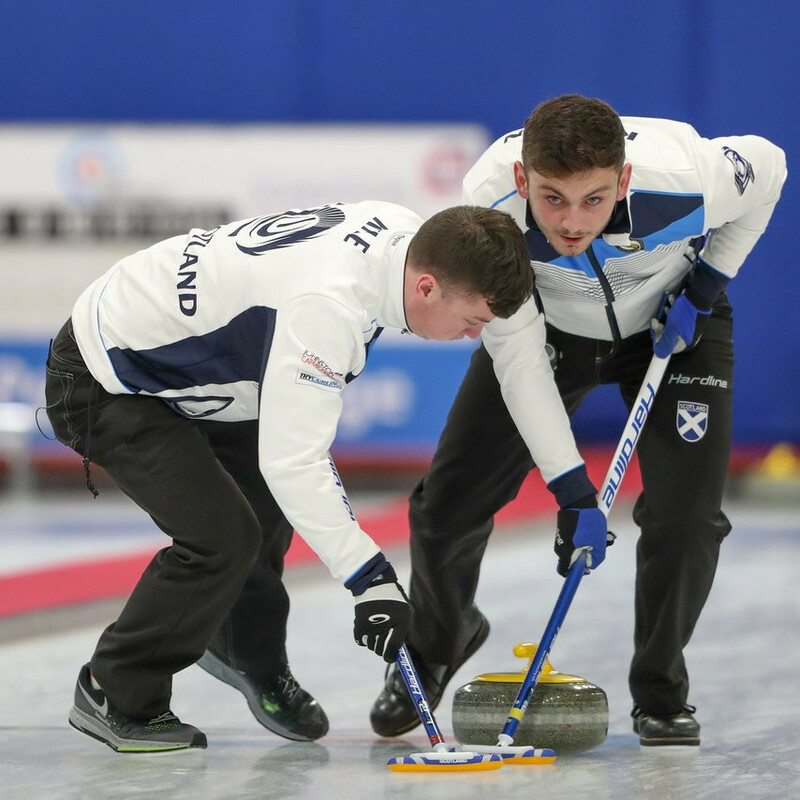 Scottish curling - still numbed from seeing its finest players narrowly miss the podiums at last month’s Winter Olympic Games - was lifted today as its men’s team reached tomorrow’s final in the World Junior Curling Championships at Aberdeen. Scotland’s skip Ross Whyte kept his nerve to earn a 5-4 victory over Switzerland with his final delivery, setting up a match for gold against Canada, 8-5 winners over the United States at Curl Aberdeen. The home players had arrived in the semi-finals as unbeaten table-toppers from the round-robin stage and they took control of the game against Switzerland early, scoring three points in the second end. But Switzerland levelled the score at 4-4 in the ninth end with a nose-hit by their skip Jan Hess for two points. "I can’t really believe it right now," said Whyte. "We’ve just had a really good week so far and we just hope to continue it into the final." Whyte added: "They made a good two in the ninth and we wanted to get ourselves into the situation where we had last stone and a shot for the win. Canada’s women also made the final after a 9-7 win over China and will now meet defending champions Sweden, who registered a 9-3 win over Norway. "It feels fantastic that we get the chance to defend our championship title, but we know we have to do one more really good game to get it," said Swedish skip Isabella Wranaa. China will play Norway for the women’s bronze medals, while Switzerland will play United States for the men’s bronze medals. Each bronze medal game will be played alongside the gold medal matches.